Expectations were sky high when Alistair Overeem (pictured) finally signed with the UFC back in 2011. Everything got off to a great start for Overeem when he sent former heavyweight champion Brock Lesnar into MMA retirement at UFC 141, but things quickly went south for the slugger. Overeem lost his chance at then-champ Junior dos Santos for running, then failing, a random drug test for elevated levels of testosterone. He was issued just a nine month suspension, though things weren’t quite the same when he returned to the cage – mainly, he was noticeably less uber than the Ubereem fans had grown accustomed to seeing the past several years. “The Demolition Man” was subsequently knockout out in his next two outings, posted a ho-hum unanimous decision win over Frank Mir before suffering a TKO defeat to Ben Rothwell. It appeared as though Overeem was destined to follow in the footsteps of so many other former Pride FC fighters before him as a UFC bust. Just as everyone had written Overeem off, he put Stefan Sturve to sleep and outpointed the gritty Roy Nelson to leave one fight remaining on his UFC contract. Who better to complete his commitment to the UFC against than dos Santos, the man he should have faced three years ago for the strap? Overeem was given the option of heading into Saturday’s bout with job security, but instead of accepting the UFC’s contract extension, the 35-year-old decided to roll the dice knowing that a highlight reel win against the former champ would increase his negotiating power. Now all was left was to perform, and that he did with a vicious second round KO. Overeem’s now banking that his gamble will pay big dividends. Fabricio Werdum puts his belt on the line against Cain Velasquez in February at UFC 196. Overeem is hoping to parlay his winning ticket into a lucrative UFC contract extension and an immediate crack at the crown. “I’m very confident with the team and the people I have around me, that I can pull that off. Let’s negotiate and see what happens,” Overeem said. 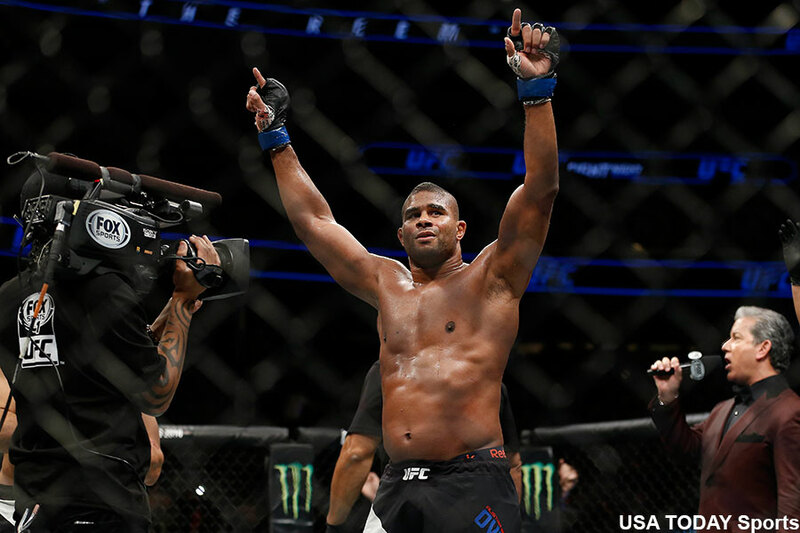 With very little depth and star power in the UFC heavyweight division, Overeem is in a great position to benefit from his gamble. Your move, UFC.